If you’re thinking about buying a new house, don’t assume you have to sell your present home. Turning this residence into a rental or investment property can create passive income for you. Understandably, being a landlord isn’t for everyone. But if you’re willing to take a chance, and if you can handle the day-­to-­day responsibilities of owning a rental property, here are five steps to take before turning your property into a rental. Before turning your house into a rental property, research the area to find out what similar properties rent for every month. You’ll have to keep your rent price competitive to generate interest. You can find local rent information on websites like Zillow. 2. Can you afford to be a landlord? Although you might like the idea of being a landlord, seriously consider whether you can afford to manage multiple properties. Even if you’re earning a profit off your rental property, it might not be enough to cover unexpected repairs and maintenance. As the property owner, you’re responsible for repairs, not the tenant. Also, keep in mind that a rental property might sit empty for a few weeks or months between tenants, which means you’ll have to cover the mortgage payment for this property and your new primary residence. Make sure you have enough in savings to cover unexpected expenses. If you’re turning your home into a rental property, a regular homeowner’s insurance policy isn’t enough. 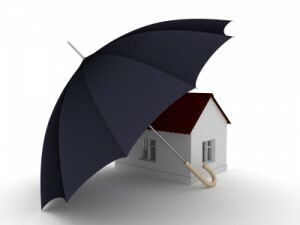 Talk to your insurance agent and get quotes for landlord insurance. These policies provide additional coverage and can be used for any residential rental property, such as a single-­family home, a duplex or other multi­-family properties. A landlord’s insurance policy not only protects against damage to the actual home, but also other structures like the shed, a patio and a detached garage. It also covers items kept on the premise and used by your tenants, such as the microwave, a washer and dryer, etc. You can also customize a policy and receive additional coverage, such as liability coverage and fair rental value coverage, which reimburses you for lost income if the property is unlivable due to a covered loss. You might not have a lot of time to manage your rental property. For that matter, consider using a property management service to handle day-­to-­day tasks. This company might be responsible for finding tenants, collecting rent, evicting tenants and answering calls related to your property. Fees for this service are typically around 10% of the monthly rent. In addition to landlord insurance, get a home warranty for your rental property. A home warranty covers the repair or replacement cost of common home issues, such as problems with your appliances, heating and air system, plumbing or electrical. Simply call your home warranty company when there’s a problem, and the company will send a technician within their network to your home. The technician will repair or replace the broken item for a flat fee, typically $50­-$70 per call. A home warranty costs between $350 and $500 a year. Real estate investing can be a profitable alternative investment strategy, but there’s a lot to consider before becoming a landlord. If you’re ready to take the plunge, start off with one property to see how you like being a landlord, and then slowly add additional investment properties as you learn the ropes.